It seems that the Château des Aulnays would have been built during the XIth century by Alberic de Montmorency, first french supreme commander. There is nothing left of this first building. The present building dates from the end of the XVIth century but a wing disapeared before the XIXth century. When he died, on September, 26th 1677, René de Thieslin leaves many debts. To soak it up, his heirs sold his goods, including the Château des Aulnays, to the Sisters of the Visitation, in Le Mans (on August, 18th 1679, according to the archives). After the Revolution, the castle was sold during a sale of the national assets by the administration of the district on March,30th 1791 to the farmer Charles Bigot for 31 000 ?? It is hard to know, with this history, who is the real builder of the present castle. There are several leads to explore, one of them is a fireback which could be linked to this construction. 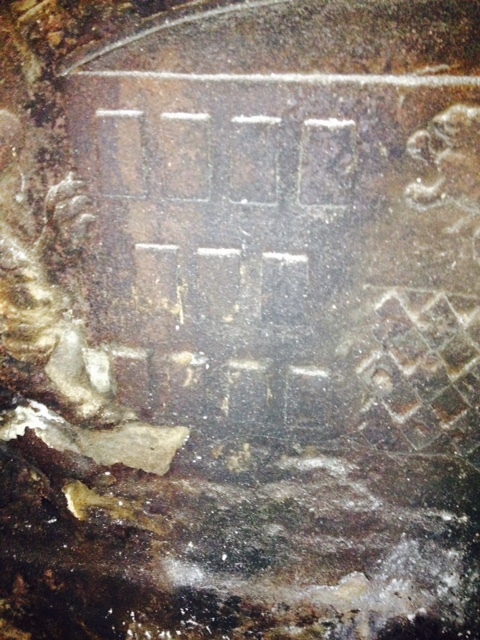 On this fireback, two coats of arms are side by side. The left one represents the Beaumanoir-Lavardin family. 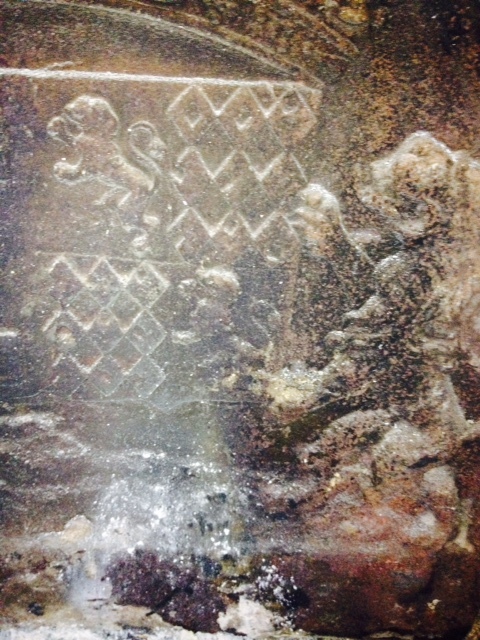 The second one seems to be the De Villaines Family.